Have a loved one on the spectrum? I do! 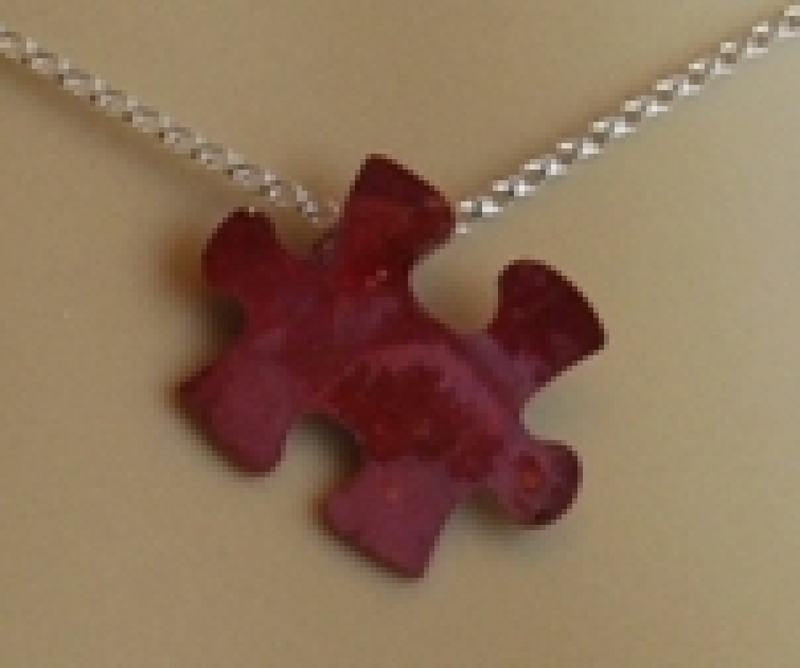 This petite copper puzzle piece is the symbol of Autism and ASD. The red color is created from a special Japanese technique using flame to change the character of the copper. It will come with a 20" sterling silver chain necklace (can be changed to an 18" upon request)! 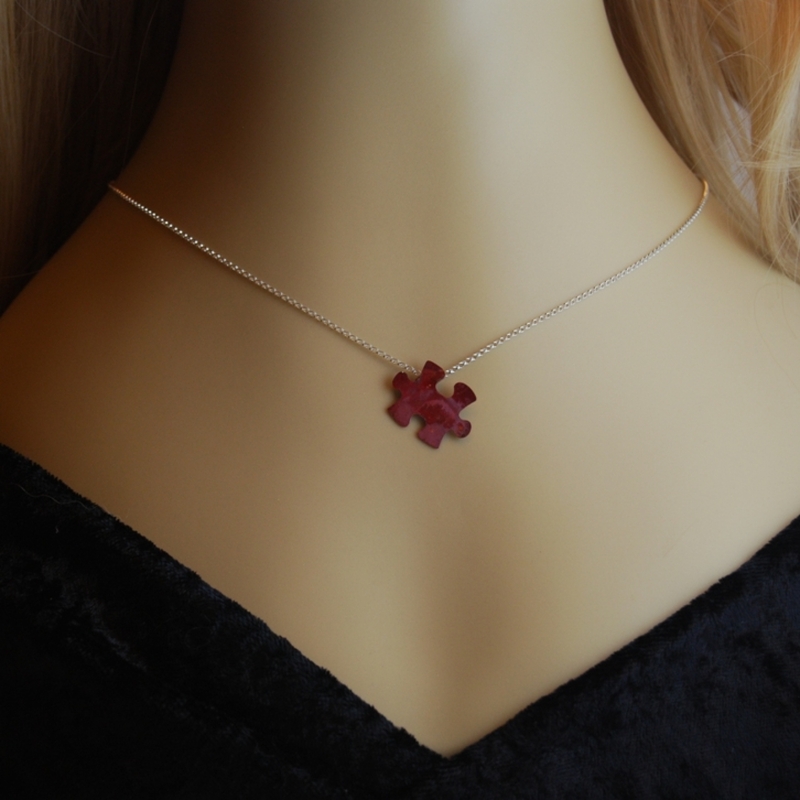 This special necklace will come in a gift box--ready to give as a gift or keep for yourself. I recommend that all StoneWyre jewelry be stored in the gift box to protect it from scratches.